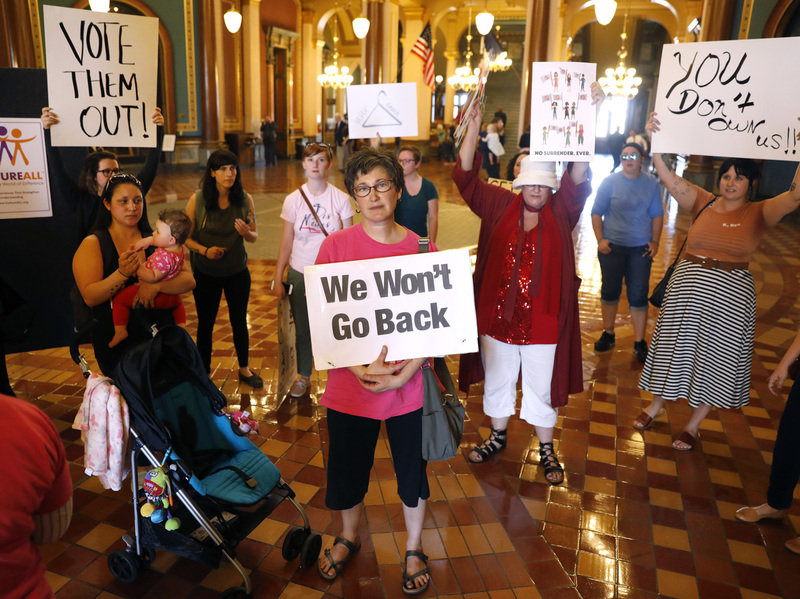 Iowa Bans Most Abortions As Governor Signs 'Heartbeat' Bill : The Two-Way The legislation bans the procedure once a fetal heartbeat has been detected, at about six weeks of pregnancy. Planned Parenthood and the American Civil Liberties Union have said they will sue. Iowa Gov. 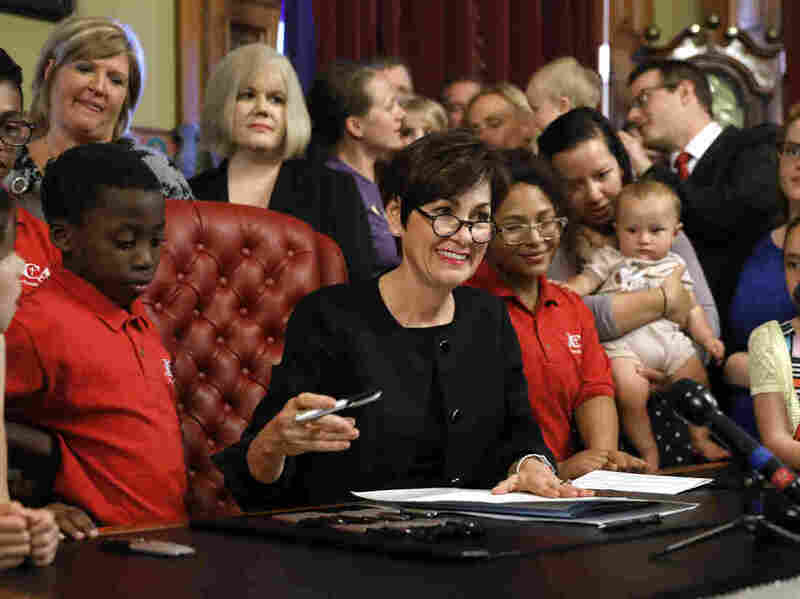 Kim Reynolds signed the controversial abortion bill into law on Friday, setting the state up for a lengthy challenge in court. Iowa has permitted most abortions up to 20 weeks. Critics of the new law say the six-week deadline will prohibit abortions before women may even realize they are pregnant. Protesters rally outside Reynolds' office on Friday.